Hairstyle is one of the vital aspects of beauty that no women can afford to ignore. All women experience bad hair days in their lifetime and well, nobody likes it! Working women and busy moms often run out of ideas about how to style their hair within a few minutes. Since, every women deserves to look good every single day, here’s a list of a few ideas that can really make your day. So, all the gorgeous women out there! 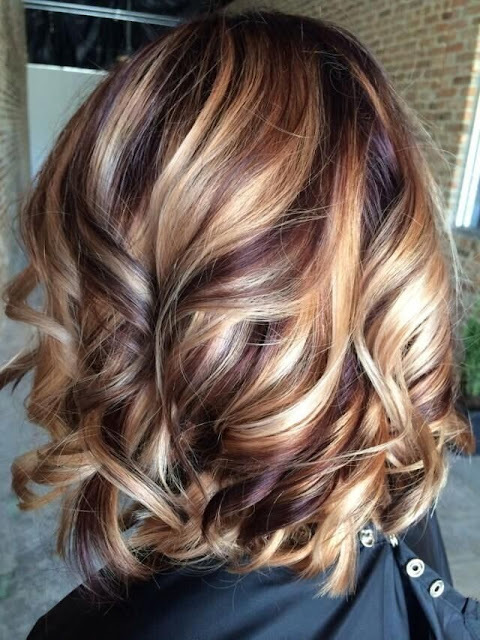 Read on to know more about hair styling for looking effortlessly stylish. Buns are an easier option in your busy morning schedule. To make this simple hairdo, twist your hair with your hand from backward and knot it in a bun in the upper part of your head. Secure it with bobby pins and you are all set to go. This is one of the favourite styles for working professionals as it gives out a sophisticated look without taking much time. However, due to lesser hair many women do not get the desired look when doing a bun. At that time, availing clip in hair extensions can be a good option which can give you the perfect bun for more elegant look. You could Click Here to get more clip in hair product. Another hairstyle that requires few minutes is the ponytail. Girls and women of all age love to sport this look as it makes one look prettier without having much hassles. For this look pull all your hair backwards and tie a band around it. You can also secure the sides with bobby pins for keeping the hair intact for longer hours. Hair weave is an option if you think you have lesser hair. Clip on hair can make it look voluminous. Since old times, braids have been one of the most fashionable hairstyles across all cultures. A few basic knowhow on a few types of braid can make your day a great one and without much trouble. Fishtail, French, Rope, Dutch are a few braids to name that you can try for getting a prettier look each day. Sometimes a simple bow on your hair can be enough to make you look pretty. For this look, take a few strands of hair from the sides of your hair and tie a knot to make it look like a bow. This simple hairstyle can be sported with any dress, be it a jeans top combination or a skirt. If you have short hair and looking for ways to try out new styles, twisting is the one you will love. In this styling, twist the hair from the back and curl it. Now, secure it with bobby pins in such a way that no edges of your hair can be seen. At Hairgets you will get plenty of option for styling hair; be it colourful hair or the extensions for the perfect pony tail. Read more at the website and choose one from the numerous options available. Hello my darlings and welcome to my new outfit post! I might be late a day with this outfit but, believe me, life has been even more hectic than usual lately. The weather swings are giving me headaches I am trying to fix with wearing the cutest outfits I can think of. So I went back to my own basics - black and deep wine red color always seemed like a great combo to me. I added those famous heart shaped glasses that seem to be the trend of the moment. I hope you'll enjoy the post! What do you think my lovelies? Do you love red and black combos as well? Hello my lovelies and welcome to my brand new outfit post! As I previously stated, I am experimenting with color palettes lately and part of those experiments is this lovely pink teddy fur coat! I am in love with it and I am so happy to own one of IT pieces of the season! I hope you will enjoy the post! What do you think my lovelies? Let me know would you wear a pink fur coat! Have you ever wondered about different wedding traditions? Whether you’re looking for something different to add to your special day, or are just interested, we’ve put together a list of unique traditions from around the globe. While you may know confetti as scraps of paper thrown at weddings, in Italy it stands for sugary treats like sugared almonds. The almonds are typically given to the guests as favours at the reception. 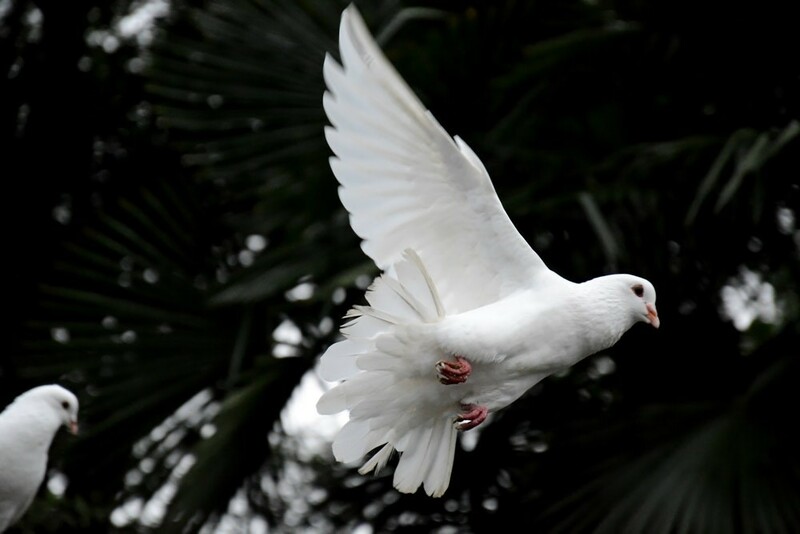 During a traditional Filipino wedding reception, the newly married couple release two doves up into the air. This symbolises a harmonious, peaceful and long life together. In a Japanese tradition called san-san-kudo, the bride a groom each take 3 sips from 3 flat sake cups. After that, the parents do the same to symbolise the bonding of the families. In Norway, couples order kransekake, a tower of iced almond cake rings. The tower is commonly built over a wine bottle so that a fun treat appears as guests help themselves to pieces of the dessert. It’s a nice touch, especially with the theme of a ring at the heart of it. See a variety of engagement rings Brisbane men get from Ringleaders to help you pick the perfect ring for your bride-to-be. In Germany, newly married couples put their bond to the test by sawing a log in half, together, in front of their guests. This unique tradition showcases the couple’s ability to work together facing obstacles that may come their way. With Korean tradition, the groom presents his new mother-in-law with wild ducks or geese. The animal represents the groom’s pure intentions as well as his loyalty to his bride. A special Pakistani wedding tradition involves the groom wearing a ring of flowers around his neck. On the day before their wedding, Scottish couples are taken out, plied with alcohol and then covered in feathers, as, flour and treacle by their nearest and dearest. The messy tradition was originally designs to ward off evil spirits and welcome good luck. 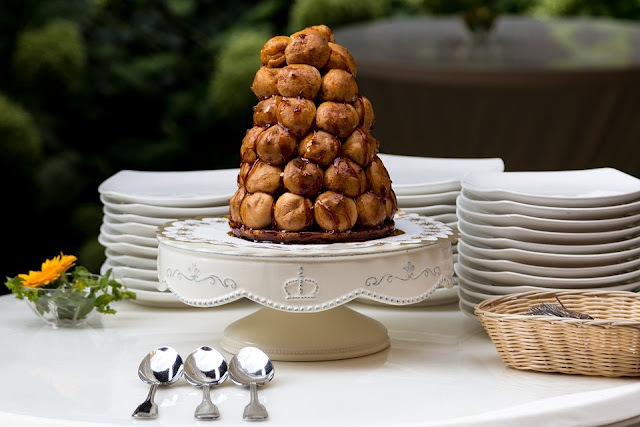 It’s common to be served croquembouche at French wedding. It’s a delicious tower of cream-filled puffed pastry that you can dip into sweet sauces, and this is usually served instead of wedding cake. Croquembouche may be decorated with glazes, fruits and nuts, just like a cake, to make for a beautiful talking point. Another interesting French tradition is called La Soupe. During the reception, leftovers are gathered into a bowl or the toilet and the bride and groom must eat the leftovers. Apparently, it’s good luck! Caribbean weddings often serve traditional dark cake made from rum and fruits. It’s the same type of cake that Jamaicans often serve at Christmas, and it’s very similar to traditional Christmas cake. As soon as the groom enters his wedding tent, he needs to bribe the sisters to return his shoes! As a newly married couple leave their village in Kenya, the bride’s father spits on his daughter’s chest and head as a way of sealing good fortune. 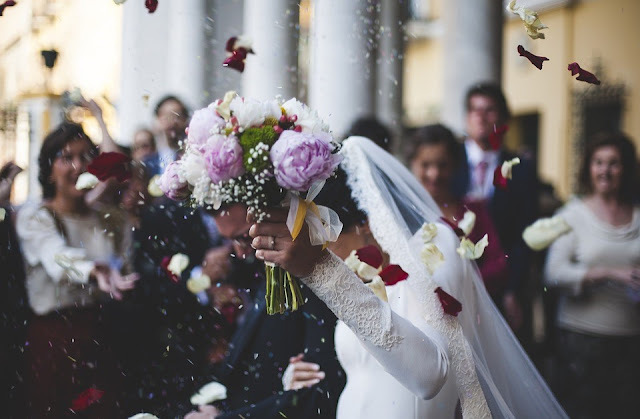 With so many fascinating wedding traditions, will you use any of these on your wedding day?